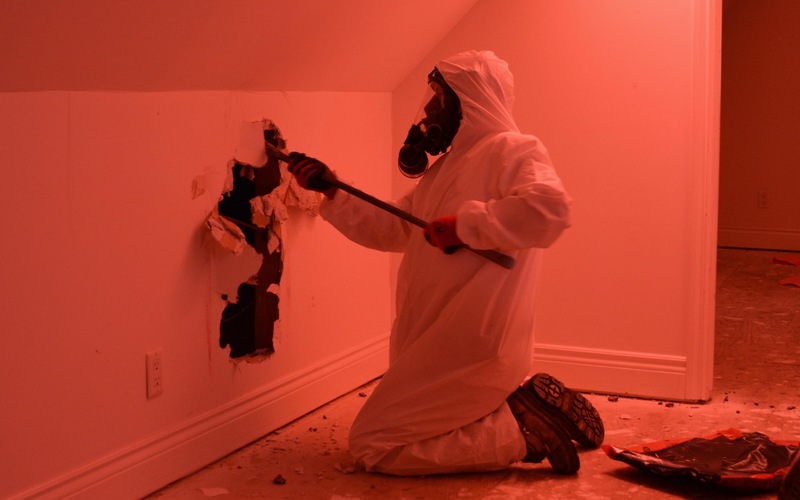 An asbestos-abatement worker takes down drywall to access the attic, where there is insulation containing asbestos in Vancouver, March 2016. The soaring number of house demolitions in B.C. has prompted work safety officials to almost double the number of asbestos-prevention officers in the province, a move that could cost an extra $1-million a year.